This petition has been created by mohammad k. and may not represent the views of the Avaaz community. Hassan bin Farhan Al-Maliki The thinker and researcher in Islamic history and Jurisprudence were arrested about a month ago by the authorities of his country; the Saudi authorities; without any charges for a full year; during which his son Abbas was arrested too for confirming through his account on Twitter that his father was wronged and did nothing to comply with the law. On the 2nd of October 2018 was charged of insulting the constant and provoking sedition and writing without meeting and interviewing any lawyers or human rights organisations. the important reason of the arrest without interviewing any lawyers or human rights Organisations which he was already prohibited from a previous decision") because of his writings and the dissemination of thought. 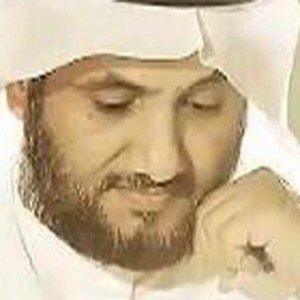 The Saudi authorities demanding of his Execution "in accordance of the lawyer Mr. Taha al-Hajji. They also demanding of a 25-years of prison sentence to his Son for encouraging the public opinion and questioning the integrity of the authorities. This action against Mr. Hasan al-Maliki is not the first, in addition of preventing him from traveling outside of Saudi Arabia and preventing him from composing and banning his writings within Saudi Arabia; he was arbitrarily arrested several times without any prosecution or charges. Mr. Hassan al-Maliki is known in his intellect and critical research on religious and Islamic history and human rights activist. He also has many publishing in history and Islamic creeds. He also works to counter radical religious thought and demands rights in respect of other religions dealing with scientific information objectively away from the personalization of information. Site of Professor Hassan Farhan al - Maliki. لقد تم اعتقال المفكر والباحث في التاريخ الاسلامي والفقه ؛ أ. حسن بن فرحان المالكي منذ 11 من شهر سبتمبر 2017 من قبل السلطات العمودية ؛ السلطات السعوديه ؛ دون توجيه تهمه له لمدة عام كامل ؛ خلالها تم اعتقال ابنه العباس لتاكيده عبر حسابه في التويتر ان والده مظلوم ولم يقم بشيء مخالق للقانون. في 2 اكتوبر 2018 ؛ بعد عام من الاعتقال دون مقابلة اي المحامين او منظمات حقوق الانسان تم توجيه تهمة (المس بالثوابت واثارة الفتنه والكتابه والتاليف "هو ممنوع منها من قرار سابق" ) بسبب كتابات الاستاذ حسن المالكي ونشر فكره؛ وتطالب النيابه السعوديه بحكم "الاعدام تعزيرا" وفقا للمحامي السيد طه الحاجي. كما تطالب بالسجن لنجله 25 عاما بتهمة تاليب الراي العام والتشكيك في نزاهة السلطات. كذلك له العديد من المؤلفات في التاريخ والعقائد؛ ناقده لتدوين التاريخ والحديث والعقائد السائده؛ ويعمل على مواجهة الفكر المتطرف الديني والمطالبه في حقوق واحترام عقائد الطوائف؛ المذاهب اوالديانات لاخرى والتعامل مع المعلومه العلميه بموضوعيه بعيدا عن شخصنة المعلومه. موقع الاستاذ حسن فرحان المالكي.